Tallysman has introduced the TW5340 “smart” antenna that pairs Tallysman‘s Accutenna technology with STMicroelectronics’ Teseo II GNSS receiver. 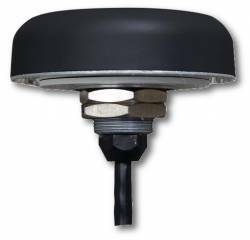 The TW5340 is a multi-constellation GNSS antenna that provides simultaneous GPS/GLONASS/SBAS reception and is designed for use in professional grade applications such as precision timing, network synchronization, or low-current and tracking/positioning applications. The TW5340 supports ST Microelectronics autonomous A-GPS which accelerates GPS positioning by predicting satellite ephemeris data based on previous observations, producing faster times to first fix (TTFF), according to Tallysman. The TW5340 can be con­figured to output up to three NMEA 0183 message lists with navigation update rates up to 10 hertz, according to the company. RS232, CMOS and USB interfaces are available with input voltage options of 3, 3V, 5.0V and 12V. The TW5340 standby mode feature provides for lower current consumption (reportedly less than 100 uA) and is particularly useful in battery-operated applications, such trailer tracking. A standard one pulse-per-second 1PPS synchronized to UTC time is available as a single-ended output or as a differential output at RS422 levels. Tallysman’s Windows-based Configurator enables reconfiguration of parameters such baud rates, output message rates, constellation, tracking parameters, 1PPS configuration, and standby mode. The TW5340 is housed in an IP67 housing and is REACH and ROHS compliant. A non-magnetic version is also available as Part Number TW5341.